Joel’s Painting was a sponsor of Fun in the Son, and event for inner city youth coordinated by Breakout Ministries & Teen Haven. 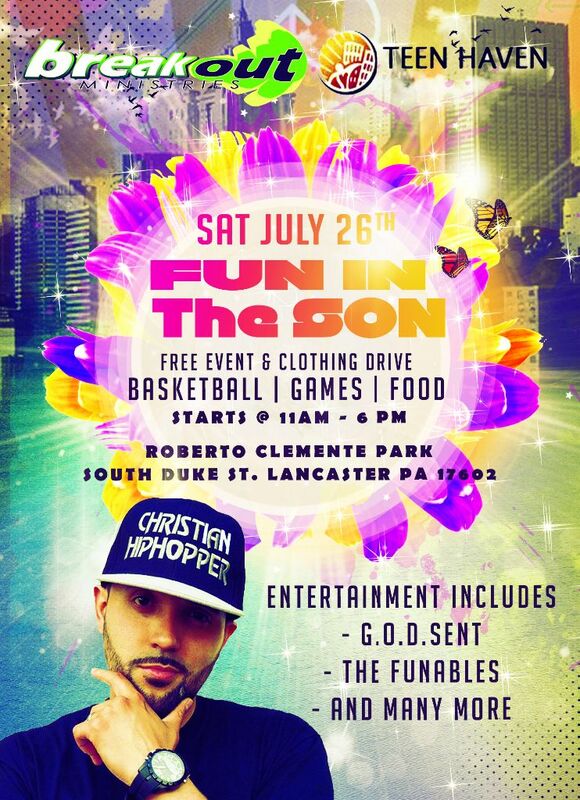 The event provided free food, games, and basketball tournament, clothing drive, and a performance by a christian rap artist G.O.D.Sent. Hundreds of kids and adults from the inner city came out to the event. The main focus of the event was to demonstrate the love of Jesus Christ to the area and be servants to those in need. For more information contact breakoutministries.org.